Do you hear these questions often? Why does my computer do this? I was just working normally and it just happened. It does this from time to time, i am just browsing the web and it all seems to go horribly wrong. It seems that people believe that if you work in IT you must know the answers to everything. Well that is not the case. Most things can be found by simply having a look. Try the obvious routes, take a look if you can find out the answer first. 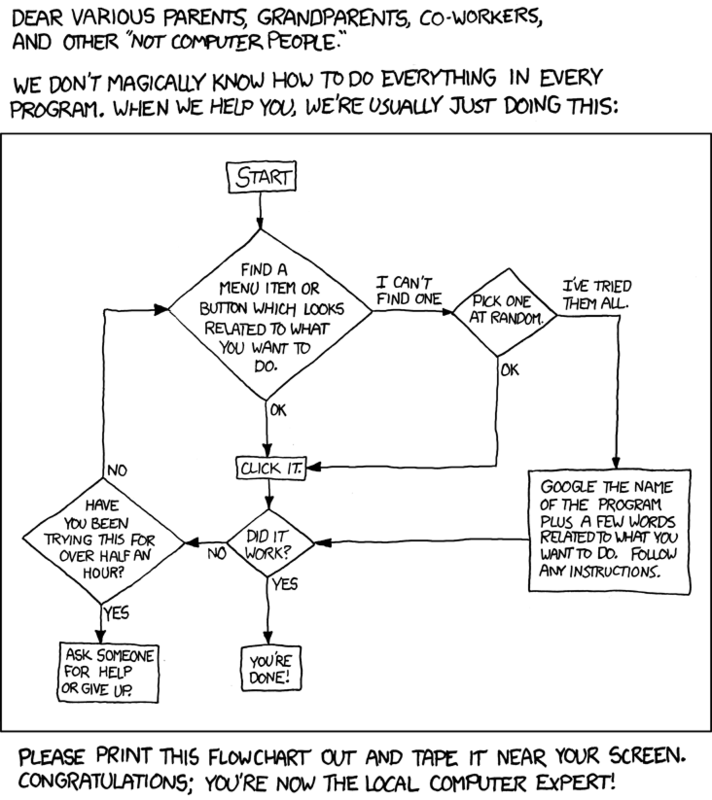 We are not geniuses, we simply follow the tech support cheat sheet - see it below and all will become clear. Thanks to xkcd.com for such a simple analogy. Yes, I know it is for fun - but its so true.